This Ironing Center Cutting Mat will help make your work space into a cutting surface for sewing, scrapbooking, quilting, and many more projects.Protect your surfaces from sharp cutting tools and abrasives. 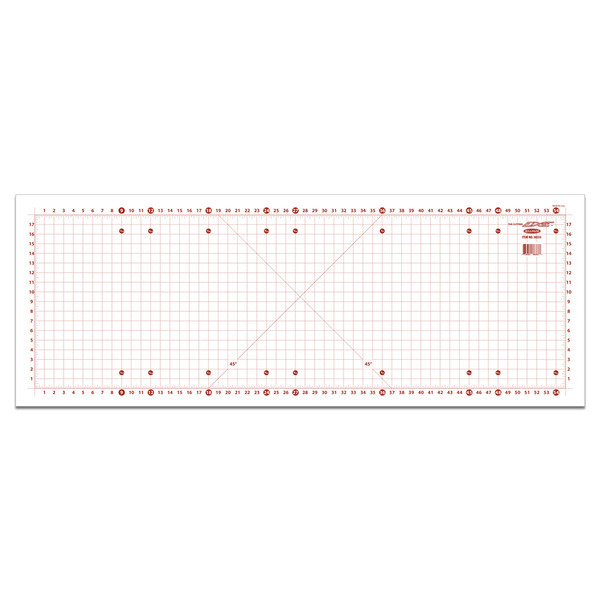 The printed measurement grid helps to mark projects for accurate cutting. The printed numbers are on the outside of the grid so as to remain visible while cutting. Diagonals mark 45º angles and yardage numbers allow for easy cutting of common sizes. Made from high quality Low Density Polyethylene, an odorless and flexible material. 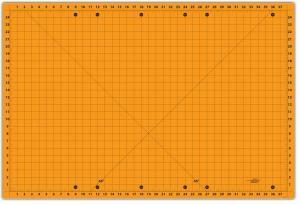 Cutting mat measures 22" x 59" with a 18" x 55" grid. Pin-able mats eliminate bunching and slipping during use. Can be easily rolled up for storage or travel. Fits perfectly on the Ironing Center and BetterBoard. 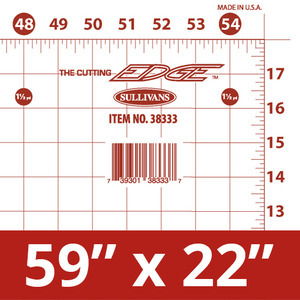 Turn your workspace into a handy cutting surface with the 22" x 59" Cutting Mat. 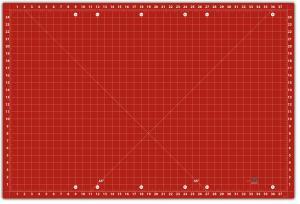 Use this cutting mat to create a convenient workspace for sewing, scrapbooking, quilting, and many more projects. Fits perfectly on the Ironing Center and BetterBoard. Protect your surfaces from sharp cutting tools and abrasives. The printed measurement grid helps to mark projects for accurate cutting. The printed numbers are on the outside of the grid so as to remain visible while cutting. 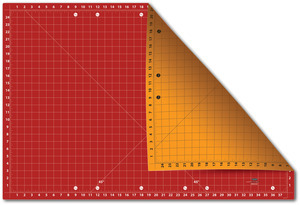 Diagonals mark 45º angles and yardage numbers allow for easy cutting of common sizes.